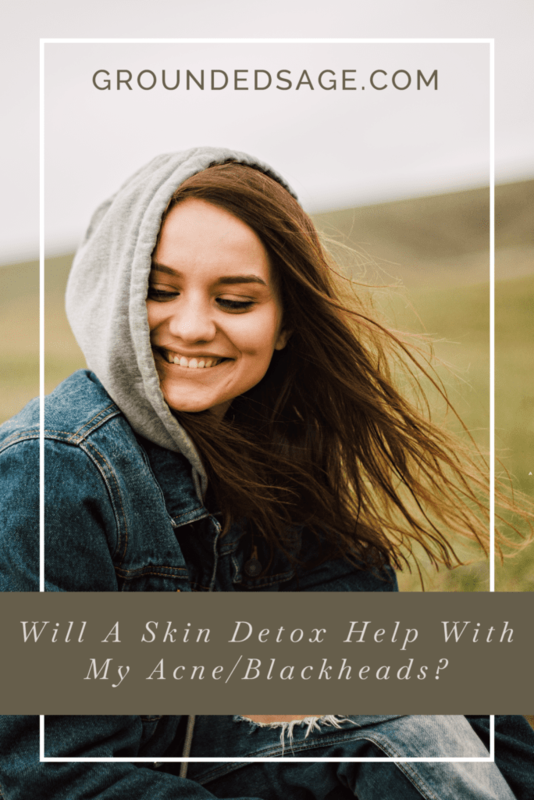 Will a Skin Detox Help Me with My Problem Skin/Acne/Blackheads? When it comes to skincare, we tend to skim through information until we see a keyword, or two, that hits close to home. For me, it was the words “oily” and “blackheads” that always caught my eye. No matter where I was, or what I was reading, those lit up like Vegas neon signs, and the blinders immediately came on to anything else in my near presence. 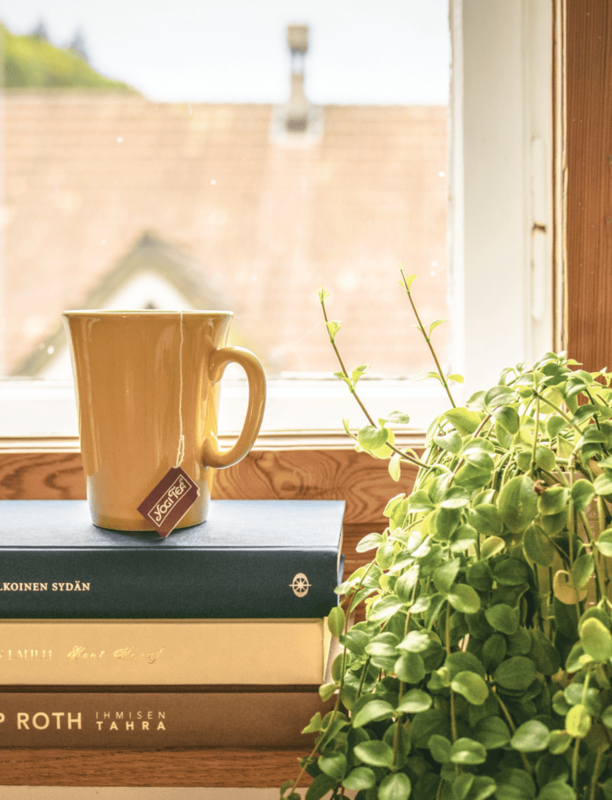 One of the biggest learning curves for me when it came to natural skin care is that knowledge is power. The more I learned, the better I understood how skin operates in general, including my own. I was able to connect dots that previously weren’t even there to begin in my mind and appreciate what my skin was trying to communicate with me. Just like at the start of my journey, we see newcomers jump to targeted routines all the time without doing the detox. They see those terms like “acne” and immediately assume that’s their starting line. While all of our skincare products will detox your skin over time, it can take MUCH longer when you’re not using products that contain detoxifying ingredients. This also leads to seeing results at a much slower pace, because those targeted ingredients have to fight their way through the build-up and congestion that hasn’t been taken care of from the start. Now with that being said, Your journey is YOURS and YOU control it! The reason for this blog is really two-fold. We want you to succeed! The sooner we can help you get there, the more joy it brings to your life and ours. 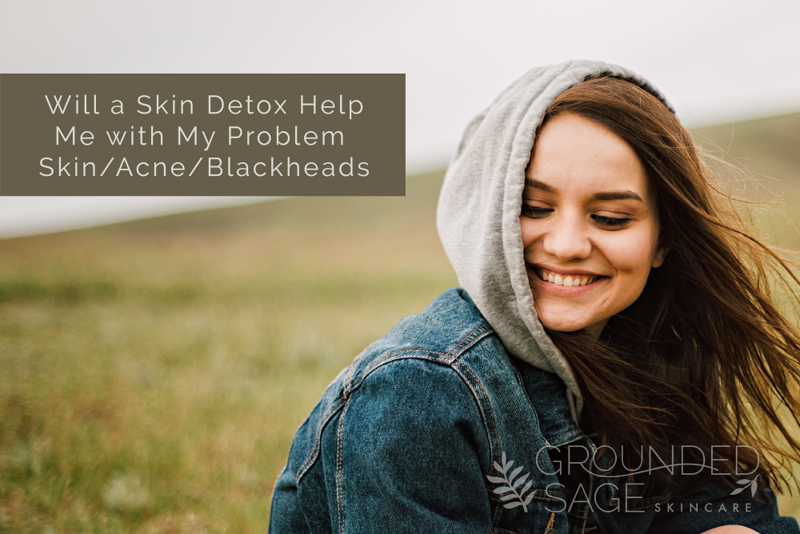 As discussed in previous blogs, a skin detox is like hitting the reset button on your skin when it’s in a confused state (most often caused by using pore-clogging products, flip-flopping your routine and internal factors). When our skin is in a chaotic state, it reacts in ways we don’t appreciate. 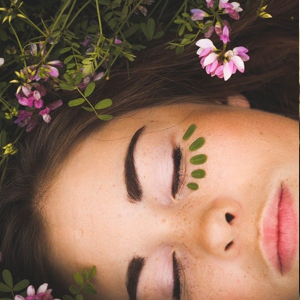 BUT, when we take the time to calm down our skin and allow it to breathe, it reacts much more pleasant to targeted, green ingredients and our desire to help it. This is the kicker! Time and time again, we’ve heard from Radiant Rebels, with reactive skin, who NEVER leave the Detox Challenge Approved Skincare Kits. Why? It’s because the trigger for their breakouts was in (major) part due to the past products that had previously been built-up in their pores. Whether it’s acne, rosacea, congestion, oily skin (you name it), the chance for the skin to relax and stop fighting the ingredients it was being forced to put up with, was enough for it to start behaving.While we’ve seen some amazing stories come out of the Detox Challenge Approved Skincare Kits, not everyone can expect this type of result. Acne and other skin conditions also come with an assortment of using the right products and root causes that need internal attention too. 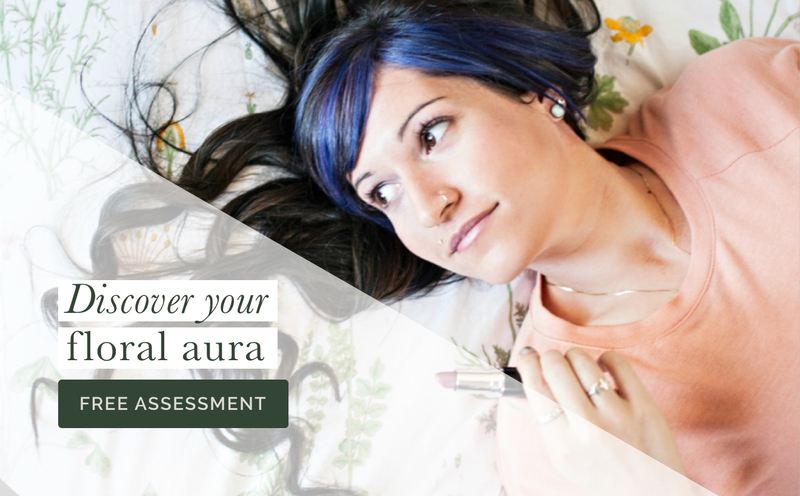 What you can expect is to see your skin jump start into a healing state. Think of it as a mood change for your skin. It’s suddenly found the drive to start bettering itself, kind of like discovering the willpower to hit the gym; the big results happen when we start doing physical activity (consider this your targeted routine). Although you’re taking action by performing the detox, this is really what we like to think of as the “motivational period” for your skin. It needs to rebuild trust in your choices and accept your help. At the same time, when we start working out, we notice some immediate results; Our energy levels start increasing, clothes start to loosen, and we simply feel happier. The same goes for our skin. It will be calmer, happier and more readily willing to accept targeted, clean products in the future. So while you may not see your blackheads or acne completely vanish during the detox, what you will notice is a “bully-free” zone, in which everyone is willing to work together and where petrochemicals and debris aren’t kings (and queens of course) of the castle anymore. Don’t believe us? Here’s what a few Radiant Rebels had to say about their experiences with the Detox Challenge Approved Skincare Kits! “As a 25-year-old, I had very dry, tight, red, somewhat wrinkly skin. I had regular acne on my forehead, as well as regular and cystic acne covering every inch of my chin and jaw. Anyone with dry skin AND acne knows this struggle, with no solutions. When the description says to hit pause, not look at one more product, it is true. TRY THIS. Give THIS system a shot. It is more expensive than I would normally spend, but I tell people now that it is the best self-care decision I have ever made. “Sorry for the lengthy review, but this Detox Kit has been life-changing for me. If you’re feeling skeptical about trying this kit out, take a little read. I have had acne since I was 12. I’m 28 now and have been using benzoyl peroxide for years. My skin tone has been a pasty pink colour due to irritation and product, on top of my cystic acne, oily skin, and scars. This is the first time I have tried any natural products because I didn’t know natural products to treat acne existed. I figured all the dermatologists I have visited in the past were showing me the ONLY way to keep my acne under control. Which were harsh chemicals that gave me more problems. I have just finished a one month routine with the Detox Kit and couldn’t be more pleased. Just a few days into the routine, I noticed my skin start to calm and heal. All the products in this kit are gentile, made my skin feel clean, balanced, and made my skin less oily. Most importantly, I had only a few mild pimples appear during the detox. Nothing compared to what is typically normal for my skin. My skin has not been this clear and healthy since I was a kid. In the simplest of terms, no matter your skin condition, we always recommend starting with a skin detox. 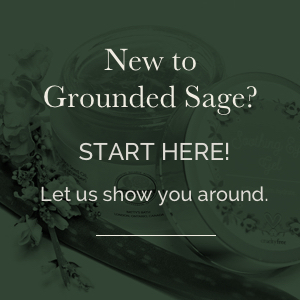 At Grounded Sage, we don’t believe in complicating skincare. If you’re ready to take on a skin detox of your own, we’d love to have you join us for our 30 day Community Detox Challenge. Sign up HERE!